Every option comes with access to thousands of practice questions from Kaplan’s QuizBank and other online materials. They also have the LSAT Channel, which includes hundreds of hours of prep videos. 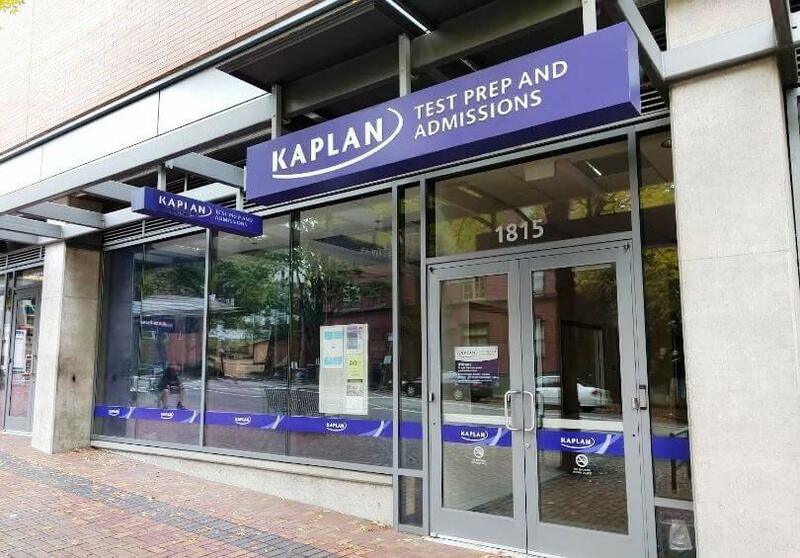 Kaplan has dozens of test centers in major cities and college towns across the USA. You can go to a physical place to meet tutors, take classes, and get customer service. You can take simulated tests that have the feel of the LSAT in an actual classroom. If you miss a class, it’s easy to go to another location because they have so many. You can also review class content online. Given these advantages, students overwhelmingly take the live Kaplan LSAT classroom course option. Their extensive library of LSAT content includes more than 70 hours of on-demand videos, 75 quizzes, and more than 7,000 questions. Kaplan has obviously invested huge sums in the organization and design of its materials. LSAT content is incredibly dense and difficult to wade through. It helps to have it well-organized. Choosing one of Kaplan LSAT’s live instructor driven courses will get you direct communication with instructors. Pricing starts around $399 + $199 per month after the first month and works itself up to over $3000 for extensive tutoring packages. Kaplan LSAT prep is not cheap, but given the resources at your disposal it doesn’t seem like a bad value so long as you use what is available to you. There isn’t that much hand holding. Don’t waste your classes by failing to do the review work beforehand. Have questions ready to ask. Kaplan LSAT courses are hard, so don’t take them casually. Much of the benefit of these classroom courses is that they force you to take LSAT review seriously and not procrastinate. Signing up for a course immediately puts you on a schedule that will make sure you’re not slacking in your test prep. Kaplan instructors will tell you that using their course is like joining a gym. You have to make the most out of it. Don’t be shy about asking for help. You have to put in tremendous work to make the most out of the staggering resources Kaplan LSAT offers. If you are lazy or fail to assert yourself, it isn’t going to make a difference how much money you spent. Here a Kaplan teacher advises students to reach out early and often. Don’t be shy and assert yourself. Kaplan is a site-sponsor affiliate of The LSAT Center. Online courses are listed to the right. Local classroom schedules can be found by clicking the below. Go to Kaplan to find LSAT classes near you.